Sometimes the surface of the eyeball and the under side of the eyelids become inflamed from exposure to dust and germs. At first the eyes are red, dry, and burning. Later there may be pus and watery secretion. During sleep this material dries, making the lashes stick together. Apply warm water, moist compresses several times a day, using the saturated solution of boric acid. 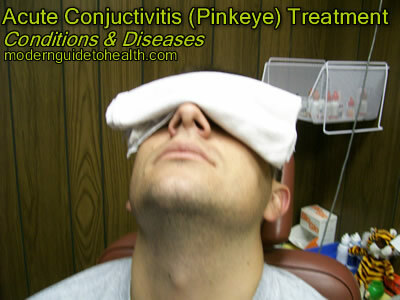 More sever cases should be treated by physician, especially if there is any ulceration of the cornea or fron of the eye.